What other finish choice do you have ? 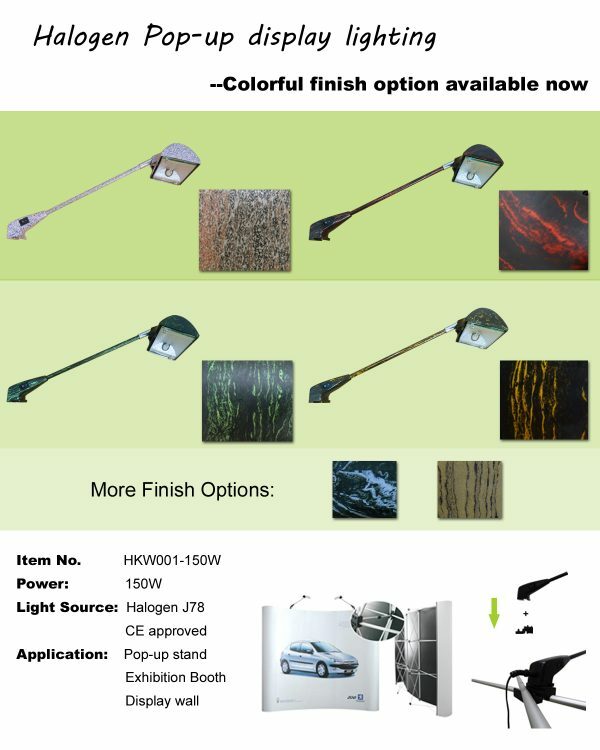 Do you want your trade show display arm lighting colorful ? Thats what we offer now ! An idea was came up with when thinking of how could we help our clients to make their trade show booth colorful. Using different painting, the display arm lighting was with different colorful finish. You could choose from varieties of finish color to match with your booth design. Or you could just offer your original painting and we will paint according to your demand.